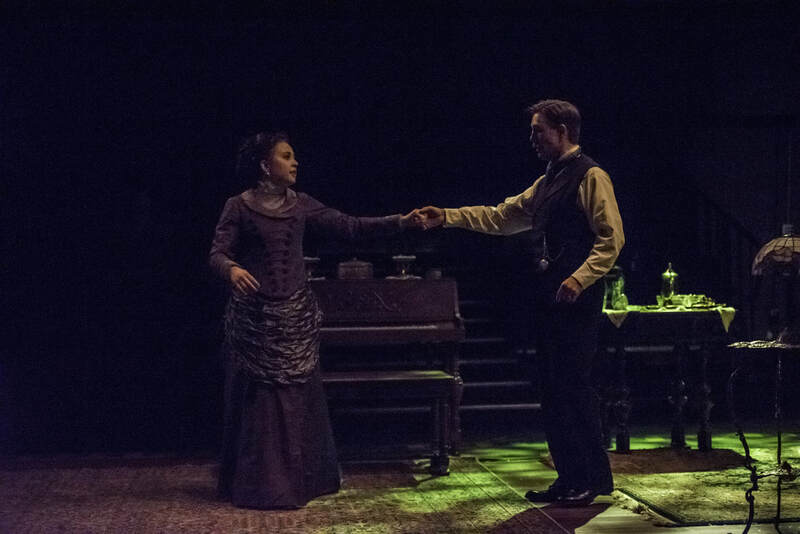 In the final scene of the show, Mrs. Givings brings Dr. Givings out into the garden in the middle of a cold winter night. This is part of her plan to ignite passion into her husband who neglects her with this clinical practice. 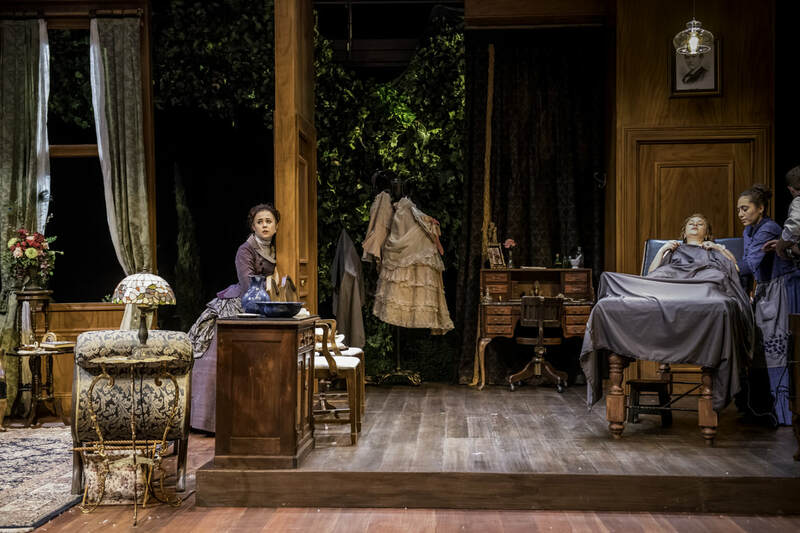 Wanting this final moment to be tender and magical, I brought the audience into the garden with them, as well as used the famous, "Gymnopedia" by Erik Satie to underscore the tender-ness of the scene. As they begin to create their snow-angels and open up to each other the music swells into blackout, ending the play. 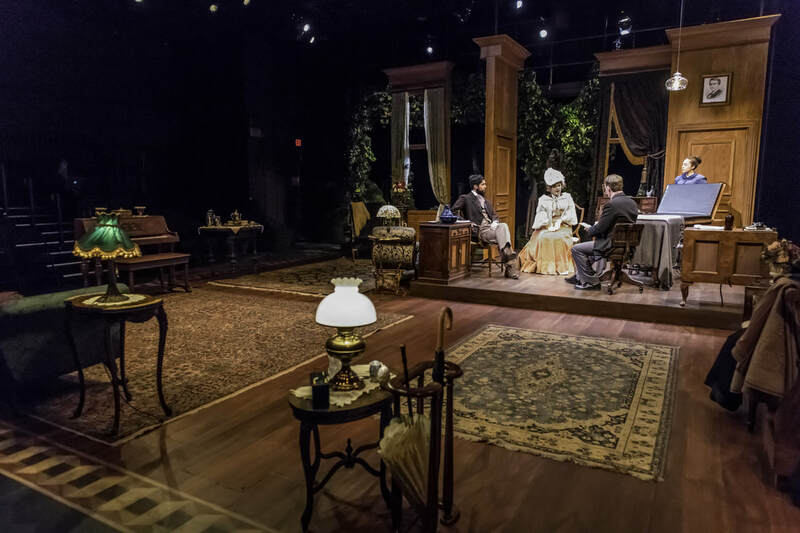 In the opening of our production, I wanted to establish right away the emotional tone of the play, but also allude to the magical realism aspect we are taking. As lights dim we hear the distant storm roll in as lights come up on musical trill of "Arabesques L66" by Claude Debussy. We see small glows of light throughout the home of the Givings family as they start their day. 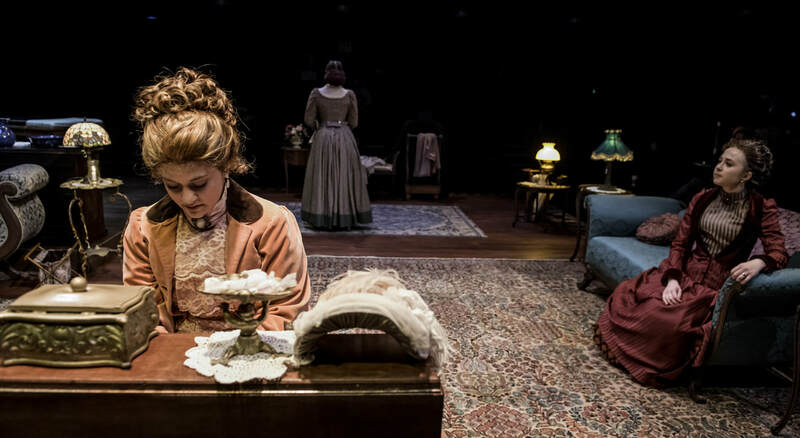 By the end of the first scene, we are in the midst of a rainstorm as the audience begins to see the neglect and loneliness of Catherine Givings. To help convey the melancholic tone of her thoughts, I used, "Six Gnossiennes, No 2," by Erik Satie as a couple thunder claps take us into our first tableau transition. 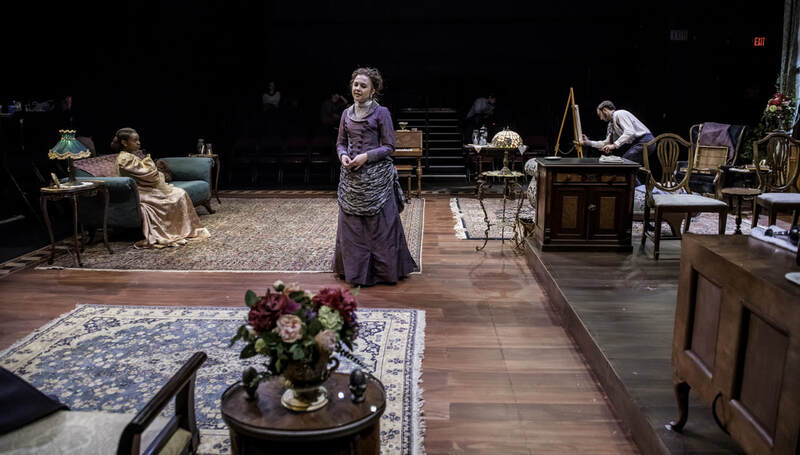 As the tension between Catherine and Dr. Givings escalates in the latter half of the play, Catherine in frustration storms out of the room leaving us in a somber mood. Offstage we hear the door slam, as "Gnossiennes, No.4," by Erik Satie fills the air while Dr. Givings locks himself into his office. The music shifts to a brighter tone with, "Fantaisie-Valse" and birds singing as it's next morning and everyone enters the room for a new day. The interesting part about the design process of this production was the vibrators themselves. I discovered the Good Vibrations Antique Vibrators Museum, where I learned the original sound of Victorian vibrators would be too obnoxious for our show. Instead, I took inspiration from the 2011 film, Hysteria, in which they used various electrical motor sounds to replicate them. The first one is a jigsaw motor, the second a sewing machine, and the third an electric toothbrush. You will hear them being turned on as well as when they are applied to the patient.